Baisakhi (or Vaisakhi) Festival is celebrated as the Sikh New Year and the founding of the Khalsa Panth. 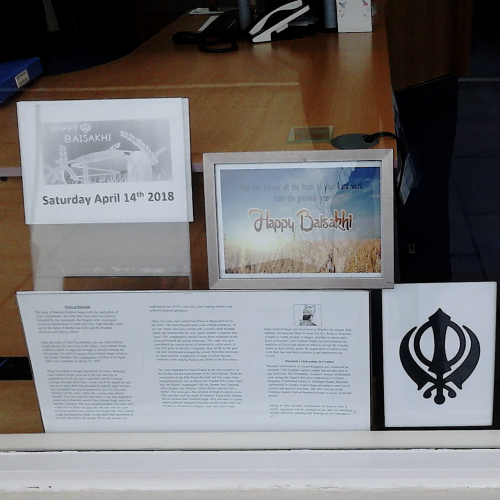 The history of Baisakhi traces its origin from the Baisakhi Day celebrations of 1699 organized by the Tenth Sikh Guru, Guru Gobind Singh to form Khalsa – the Brotherhood of Saint Soldiers to fight against tyranny and oppression. We wish all our Sikh friends and families a Happy Baisakhi!